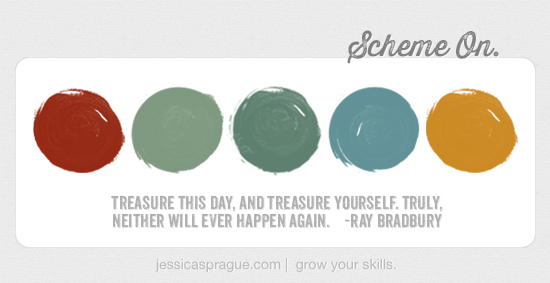 Here is a gorgeous color scheme and an equally gorgeous quote. Could anything be better than that combination? :) Download them below, and be sure to check over here for help installing the scheme into Photoshop or Photoshop Elements.